The grey bathrooms are kind of a fashion today. If you want to design the interior of your bathroom in some of the popular styles, then you need to search for your options. There are a lot of styles in which you can decorate the bathroom, and the grey bathrooms currently are re-born in the interior design. You will just have to pick the correct shade of grey and put it on the right place. 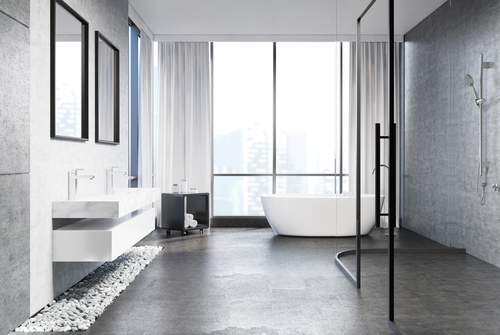 Make sure you make some contrast and give a complete look of the entire bathroom. Consider when choosing the lighting to pick the light that will reflect the colors of the bathroom in a perfect way, so there are no shades of too dark or too light. Did you think that the grey will bring cold scent in your bathroom? Definitely not. It can bring soothing feel if it is complemented with the right patterns and furniture. Do not make it too colorful, even though you are using shades of grey, make sure you pick two to three shades of the color and implement them in the design. Learn how to make calming effect and put some other colors on the accessories or where possible for the final touch. Nowadays the grey bathrooms use vibrant and strong colors against neutral backdrops. You can make coordinated appearance with the appropriate shading and applying of the patterns. 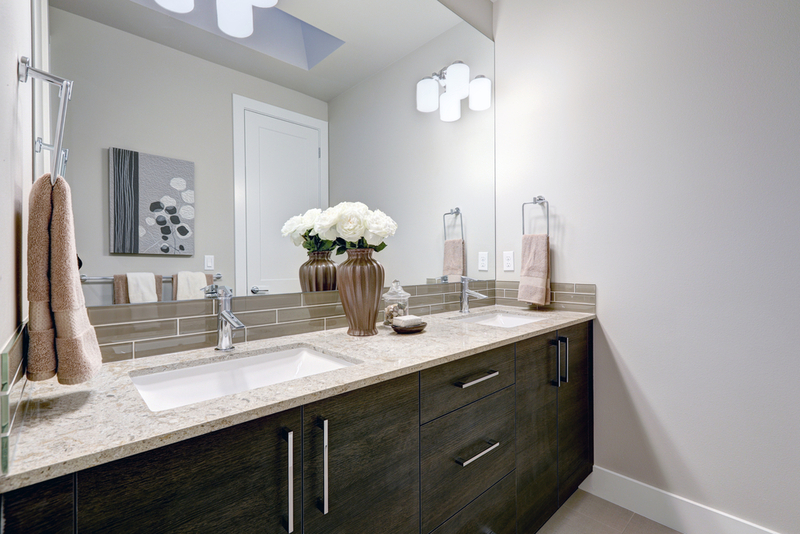 Here are some ideas that can help you choose the best interior design for your bathroom. This type of design can be modeled in any shape and forms a single surface. Can be also very beautiful since it creates simple finish. You can add some other color in order to add some third dimension in the design, currently the pink one would be the right choice. The floor and the walls are designed concretely and you can feel the calming effect. This type of design is with tiles from the floor to the ceiling. It also provides more space in the bathroom and you can choose the shade of the color here, no concrete shades are demanding. You can put the grey color all over the walls, the fittings, and almost everything. You will just have to add chrome accessories that will glisten and some white fittings if you want to feel the contrast. Choosing the grey color for the walls in your bathroom provides good mood. Adding some interesting accessories and decorations will make the interior complemented and the dramatic shade of the grey color will give the wanted style. The finish makes it with matte paint in order to give some contrast in the design. 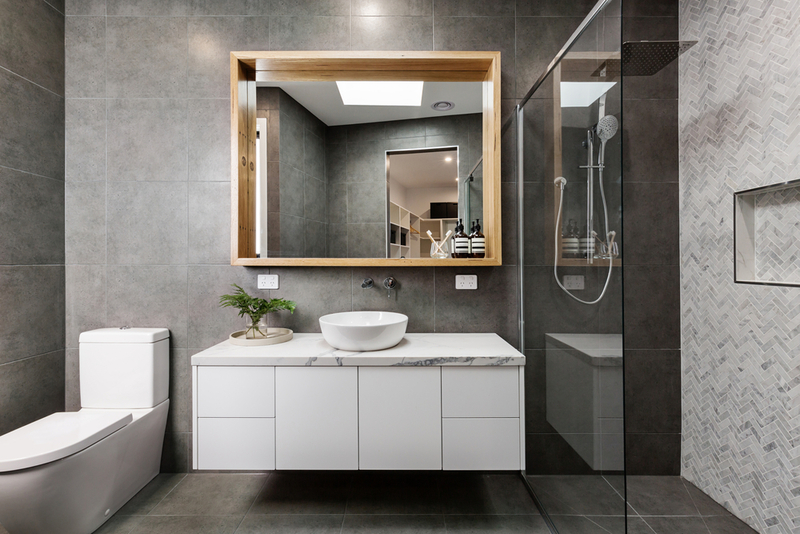 The pale grey is definitely one of the best choices of this type of bathroom. You can have elegant and delightful atmosphere with this design. You can use some soothing shades of the grey and add some white contrast on it. Nowadays it is modern to use natural wooden textures or add some accents. When you pair the grey walls with the wooden scheme, the combination provides the best interior design, it is just perfect. 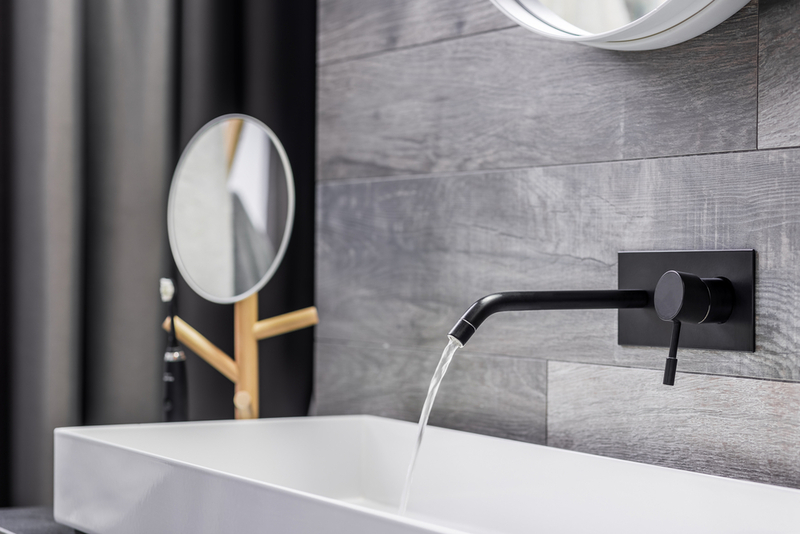 If you previously had some wooden parts in your bathroom, whether it is the floor, or the vanity, you can always restore it and give it more modern look, and based on that you can take care for the remained part of the bathroom to design. The dark shades of the grey color can also provide glamorous and luxury appearance. You can always add some elegant feel to the interior of your bathroom with this design idea. You can design the walls and the floor in tiles and if you want to make it unique, then the use of stone will be the best choice. The natural stone would be appropriate for this design if it is installed properly. The walk-in shower here together with the dark grey tiles give the modern look of the interior design of the bathroom. You can use the tiles for the walls and the floor as well. The use of porcelain can be better to implement since it is hard, non-porous and is resistant on scratching. You can maintain it with low care. Just a perfect design for your bathroom. 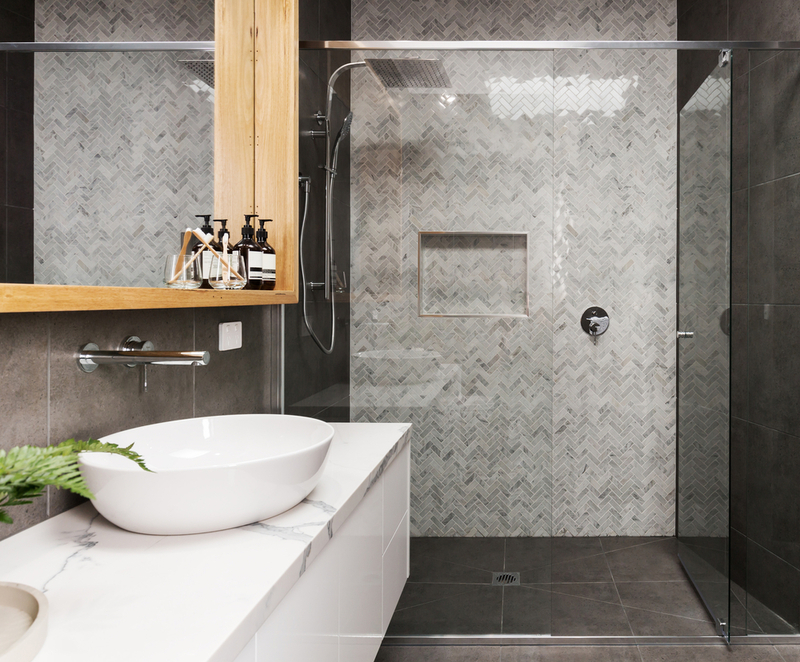 The marble wall and the contrast of the grey and white provide the calming effect once you enter the bathroom. The marble is the perfect choice if you want glamorous design in your bathroom. The grey would look sophisticated combined in this style, so this design is among the best choices for you. 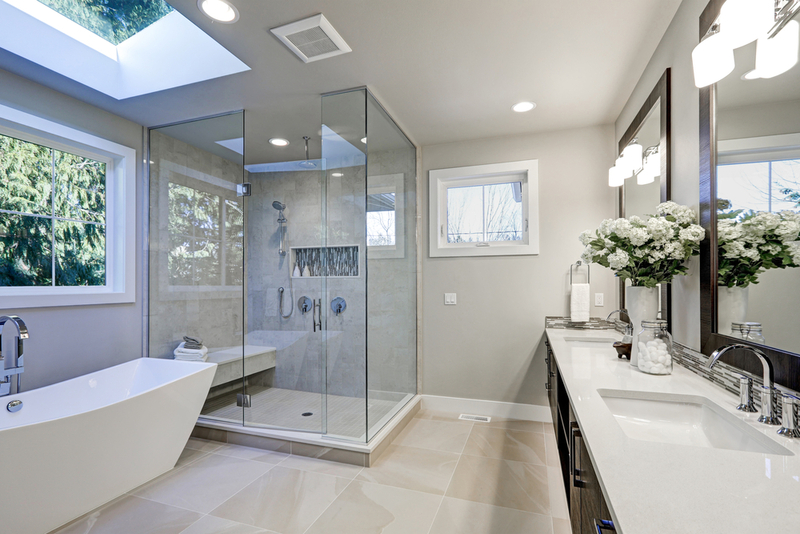 The skylights in the bathroom and the tiles on the walls bring the effect of more space in the bathroom. The skylights offer natural light in order to make the interior brighter and are useful in those parts where the daily lighting is not that good. You can also use blind attachment to block the excessive entrance of light during the day. It is suitable for both types of environments and can be designed by your preferences. The pale grey tiles offer the calming effect and complement the entire design. Since the grey color represents the sophistication, you can always use it in different shades in order to bring the charm in the interior of your bathroom. Using white-gloss fittings would complement the entire design and the fixtures will give the final touch. You can use some subtle patterns and bring some accessories in different colors. If you want luxury in your bathroom then you can achieve it with the traditional grey bathroom with some wallpaper featuring in it. Some metallic accents and sea-foam green would provide the desired effect but keep in mind to avoid some bold and contrasting colors in order to keep the tone and the harmony of the design. You can choose some deeper and intense shades of the grey as well, but use it in a smart way. 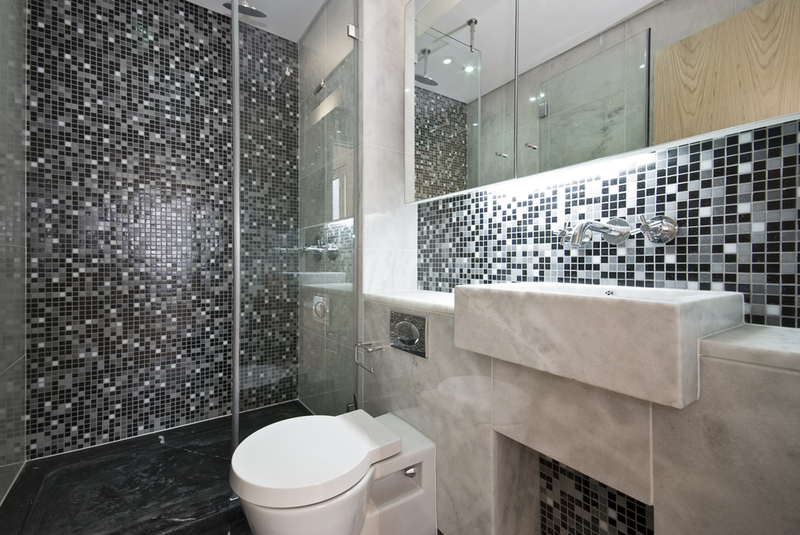 The bathroom with grey wall and metro tiles give the strength of the design. This is modern and classic bathroom at the same time where the styling is simple, with the tiles, the radiator in vintage style and the walk-in shower. The final touches are the leather strap magazine rack and the paintings on the walls. When using some uniform colors you need to avoid their mixture since it won’t give you the wanted effect. This tiled charcoal bathroom with cedar wood on the floor is one of the best design ideas for the interior of your bathroom. It is stunning. The wood is above the tile and can be removed easily for cleaning. You can also create some minimal texture to give amazing look. You will fall in love with this design immediately. This type of bathroom was designed based on the freestanding slipper bath. You can call this type “his” and “hers” as well since you have a lot of free space and comfort. The tiles of marble give the luxurious look of the bathroom and the freestanding bath gives the sophistication of the bathroom. It is just perfect with a chandelier or skylights. 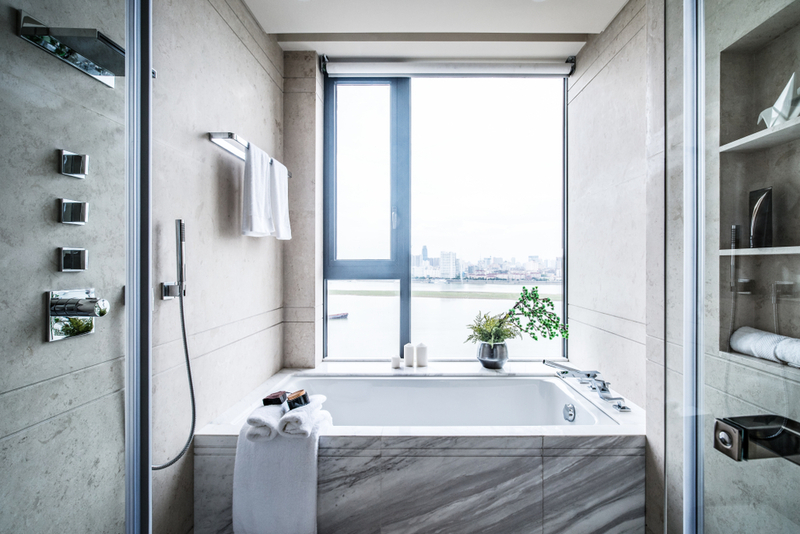 The bathroom contains Carrara marble on the floor, the basin and the bath, mixed with some grey shades and textural twists of mosaics. The basin has the floor tiles of Mandarin Stone, and the interior is looking amazing. If you want modern and sophisticated look of your bathroom, then the marble idea is your option. You can break the monotony with adding some patterns of wooden units that will complement the design. Do you like more the shapes or the tiles? Nevertheless, you can mix both of them into the design of your bathroom, and yet the bathroom will look modern and classy. You can add some herringbone pattern if you want to add more depth to the design. Providing different patterns can be interesting as well. 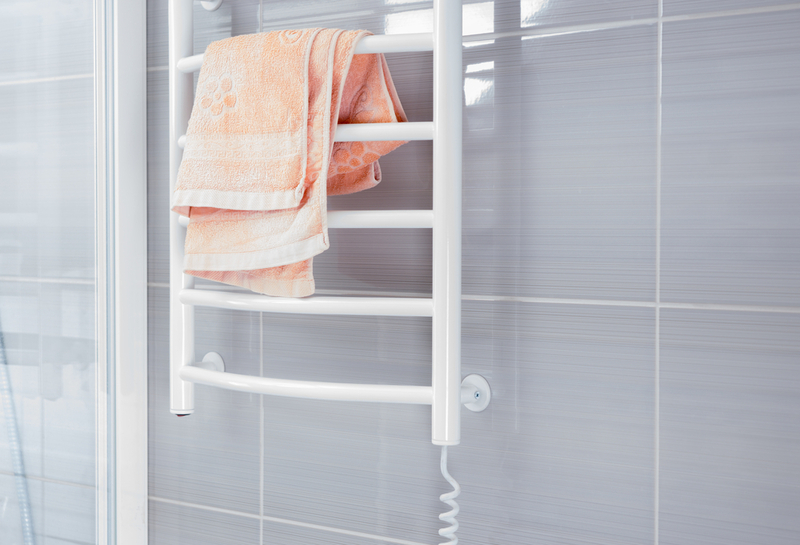 If you want to create coastal and relaxed style in your bathroom, then Tongue and Groove planks are the best choice. You can put them horizontally and make some twists, all different, while taking them against the ceiling might be even more appealing. The tongue and groove consists of wooden planks that are glued together in order to make some pattern. They are very easy to install and provide classy look. 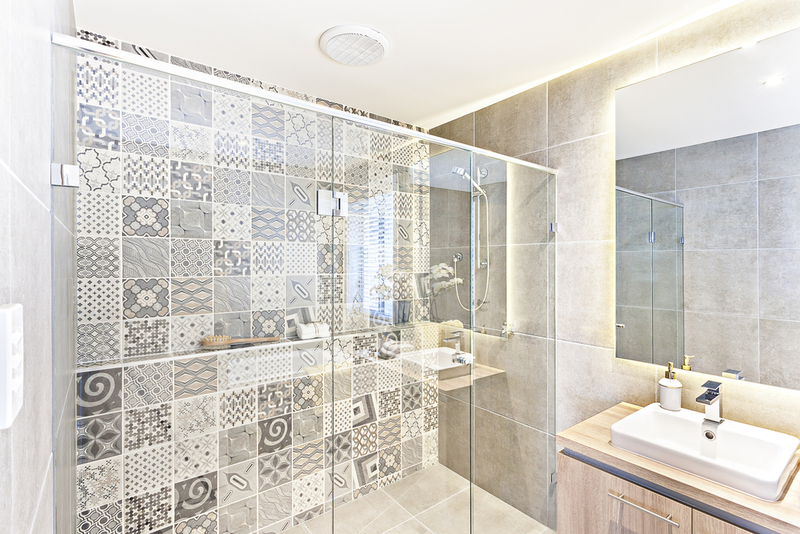 The tiled bathroom with grey metro tiles gives strength to the modern interior of the bathroom. You will be amazed of the entire appearance of the bathroom and you will enjoy in the ambient. It is very stylish with a walk-in shower and radiator of vintage style. The final touches need to be complemented in order to bring the classics. The classic paneled bathroom wall works definitely great if you want the classic look of your bathroom. Choosing soft shades of grey will make the place to look calming and cozy. This is a traditional Moroccan technique that is used in the interior designs of the bathrooms and was perfect for the wet rooms. So the water is mixed with plaster in order to give seamless and smooth finish at the end. It is not required to use dark shades of the grey, it is recommendable to use fresh dove grey with some tones of pink. This way you can provide bounces of the light around the bathroom and the lighting will be just perfect. So, here are some of our ideas for your interior design of the bathroom from which you can choose or get a hint. There are plenty of ideas and styles to be used while decorating the bathroom; you just need to find which one is according to your preferences.